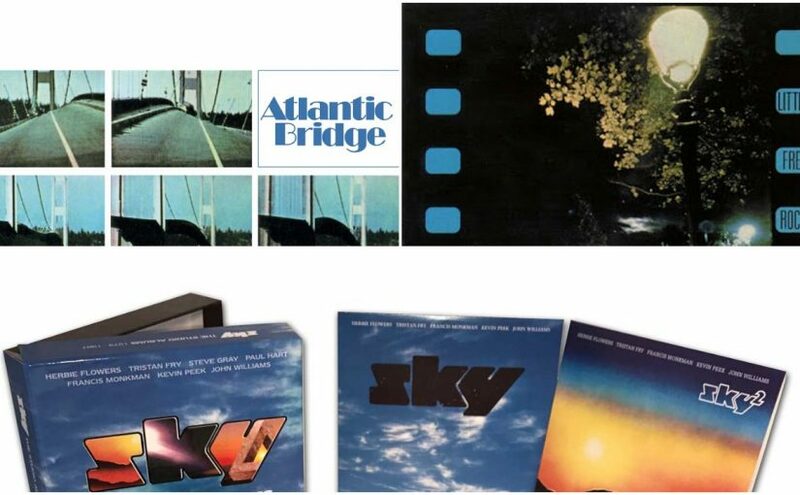 Across these 6 discs and two sets, one a four disc box and one a double disc set, Esoteric Recordings meticulously collects together the 8 albums (‘Stray’, 1970, ‘Suicide’, 1971,‘Saturday Morning Pictures’, 1971, ‘Mudanzas’, 1973 and ‘Move It’, 1974 recorded for Transatlantic & ‘Stand up and Be Counted’, 1975, ‘Houdini’, 1976 and ‘Hearts of Fire’, 1976 all recorded for Pye) complete with demos, singles and b sides. These are the definitive musical collections of Stray, the London based four piece who were so highly regarded, and who worked bloody hard between 1974 and 1976. 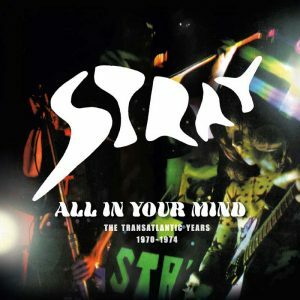 Like so many of their peers who made a great live impression in that early part of the 1970’s, Stray had already built up a large following. Lead guitarist Del Bromham (a guitarist who is still highly regarded among guitar aficionados today) had already been plying his trade as a teenager in his brother’s band, so had honed his live skills early on. This meant that when Stray coalesced around Del Bromham, vocalist Steve Gadd, drummer Ritchie Coles and bassist Gary Giles, the band had already had a few years gigging experience, working the clubs in 1967/68 (even though the band were all only around 17.) This hard work ethic, and the fact they had honed their craft on the road meant they had already served their time when they were eventually signed to the Transatlantic label, who were looking to expand their horizons into the burgeoning underground scene. It also meant that, as a band, they were already the finished article, so there’s no first album jitters or false starts on their debut ‘Stray’ (1970). Instead, you get a highly confident and energetic 8 song debut album. Borrowing the phrase ‘all killer and no filler’ the fantastic opener All in Your Mind (eventually covered by Iron Maiden of all people) acts as a statement of intent, as (to all intents and purposes) what is their stage act is laid down here for all to enjoy. You wouldn’t know their age based on the song writing on show here. The soulful vocals of Gadd and the bluesy guitar work of Bromham works in tangent to create a vibrant and energetic debut that is an absolute joy to listen to. It reminds me in part of the debut by Wishbone Ash, not so much musically but, certainly, spiritually in that unique sound both bands have and, in their sheer innate confidence of their own talent, that they can go out there and make any kind of music they like just because they can. By 1971’s ‘Suicide’, another highly rated album, the boys had none of the sophomore slump that afflicted bands like Yes or Deep Purple instead, they bounced out of the studio with another mighty fine hard rocking set of originals (that’s another one of their strengths, for their first 4 albums they relied entirely on their own song writing), the bands musical sound had expanded, as to be expected, with the introduction of instruments like mellotrons and pianos. Other than that they were still the hard rocking London quartet that they started out as, building on the success of the debut and, with some fine Bromham cuts like Where Do Our Children Belong and Do You Miss Me, and the Steve Gadd penned Dearest Eloise, the band were expanding their sound whilst remaining true to their roots. Listening to these albums, you can see that no matter what they did, there was always something innately Stray about them, you could never mistake them for anyone else. By the time 1971 finished the band had already released their third album, the more expansive ‘Saturday Morning Pictures’ (complete with the obligatory Hipgnosis sleeve), which really opened up the bands sound, due in part to the maturity of their song writing (check out After the Storm or the instrumental passage in Queen of the Sea) but also due to the production by the legendary Martin Birch (who was moving into production after making his mark engineering for bands like Deep Purple). Birch of course made his mark with Iron Maiden but here, his list of contacts helped widen the bands sound out. With the calibre of guests such as the wonderful PP Arnold, Vicki Brown and Lisa Strike, all of whose sublime voices added so much. This was a step up in sound and quality and was due to the band’s building success. 1973’s ‘Mudanzas’ saw a more widescreen approach in term of production, with orchestra and brass on tracks like the driving Come On Over (a decision which didn’t sit too well with Bromham, who thought they drowned out the band at points), it certainly smacks of ambition and puts a more commercial sheen on the sound and, given a push, could have put them on a sounder and more successful commercial footing, especially with elements of the ELO approach running though this and Gadd’s vocals just getting better and better. Tracks like the brilliantly bluesy Gambler work well with the brass and the funky bass of Giles, who, along with Coles, is the powerhouse rhythm section that keeps the band motoring along. Bromham’s guitar is fine as ever and the harmony vocals he now also provided, add so much more to the music. By 1974’s ‘Move It’ the band were on the verge of leaving Transatlantic and, for the first time, not only did they record a cover version but, they also made it the title of their album! Relocated at the managements suggestion to the States, ‘Move It’ was recorded in Connecticut, produced again by Wilf Pine from their management company. As Del Bromham is incredibly honest about in the superb booklet notes by Malcolm Dome, it was a mistake on the band’s part to switch management. Opening with a drum solo called Tap (after all, this was 1974, and it was illegal for all prog and rock albums to be released without a drum solo) they then launch into Move It, which was completely Strayed up and has plenty of that guitar and power they well were known for. To be honest, it blows Cliff’s version out of the water. The rest of the album, whilst being classic Stray, has always been regarded by the band as bit of a mish mash where they were trying too many different things. Tracks like Bromham’s rocking Hey Domino,their cover of Jimmie Helm’s Customs Man or Gadd’s Mystic Lady and Our Plea especially, moving the band into slightly softer and more melodic areas. This is the sound of a band searching for a new direction and not quite finding it, not a bad record at all, but certainly one which has plenty of alternative musical avenues to head down. 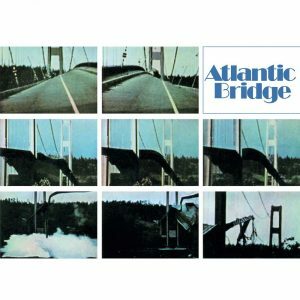 With the final disc in the Transatlantic Years containing their Pye demos from 1968, which show how fully formed the band already were, to the singles A’s & B’s and a couple of tracks from a Transatlantic compilation in 1975, this is the bands early years complete, and completely marvellous. This is a fine collection of 5 brilliant albums from a band who are sadly underrated and who could so easily have been one of the biggest bands in the early 1970’s. 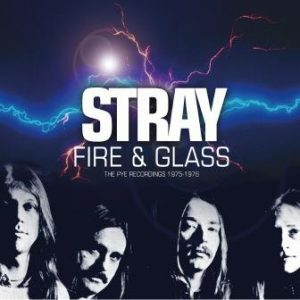 The second collection, ‘Fire & Glass’, picks up the Stray story in 1975. Upon leaving Transatlantic, looking for a label with more clout in the rock area, Stray found themselves on Pye and, having also lost original member Steve Gadd, who was moving into different musical areas than Stray. Luckily they had already hired a second guitarist, Pete Dyer, to do some of the heavy lifting on stage so Gadd could be the frontman so, when Gadd left, it ended up with Bromham and Dyer singing and playing guitar. This had an impact on the sound, as Bromham took songs that he was intending to use as a solo album and brought them to Stray, ‘Stand Up And Be Counted’. With a far more cohesive sound than its predecessor, and a different feel, with two guitarists in the band and two vocalists, it has elements of Wishbone Ash to it but, then, that’s more the two guitars than the music. Musically it shows how Bromham’s song writing had matured and this shows across all three of these Pye albums in fact, tracks like Stand Up and be Counted, with its soulful female vocals, and Waiting for the Big Break (autobiographical perhaps) are a couple of standout songs on a fantastic album. 1976’s ‘Houdini’, released just at the dawn of Punk, is, again, a fantastically coherent set of material, running against the perceived current style. We can ignore the fashion as this year’s fashion is always next years cast offs, true class will always shine through and that is what Stray have by this point in their career. A relaxed muscular swagger on tracks like Give a Little Bit, with some fine guitar work from both Bromham and Dyer, the wonderfully anthemic Everybody’s Song and the brilliant Fire and Glass (which provides this collection with its title) showed a band still in control of their sound and their music with some real funky swagger on Bromham’s Gonna Have a Party. Their final album before the band split up was 1976’s ‘Hearts of Fire’, released in December in one of the most incongruous sleeves ever, one which Bromham also, in candid honesty, wasn’t too chuffed about. It’s some weird robot which has nothing to do with the content of the music, ah record labels hey? Tracks like Buying Time brought a funky sound and use of the talk box to add some fine effects to the solos, meanwhile Knocking at Your Door has a far more laid-back West Coast vibe, not dissimilar to where Fleetwood Mac were at the time. 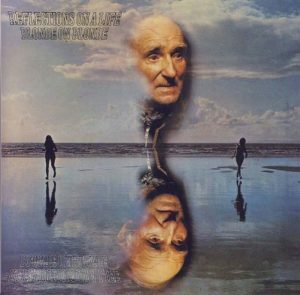 Again, Bromham was the principle songwriter on these album, with only one track (Take a Life) being a co written with the original Stray trio. With Bromham writing the bulk of the album, again it has a musical flow and coherence that some of the earlier albums didn’t have. 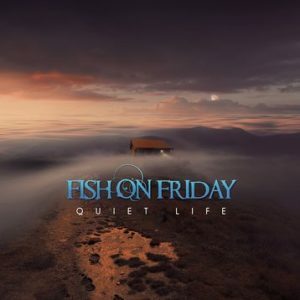 The mix of acoustic and electric guitars and subtle keyboard parts give this album a real laid back and chilled out vibe. Don’t get me wrong, there is plenty of that defining guitar sound, but the song writing has matured into a real soulful sound and this is reflected by the arrangements and themes on the album. I Wanna Be having that amazing driving guitar work and powerful bass line, hints of disco bubbling under, and reminiscent of the sound that certain NWOBHM bands would use. This is a fantastic set of well written and performed rock sounds and, despite Stray being the same age or younger than the Punks who reduced music to a Year Zero approach in 1976, they were being old school, they unfortunately split up, never quite having been as successful as they deserved. 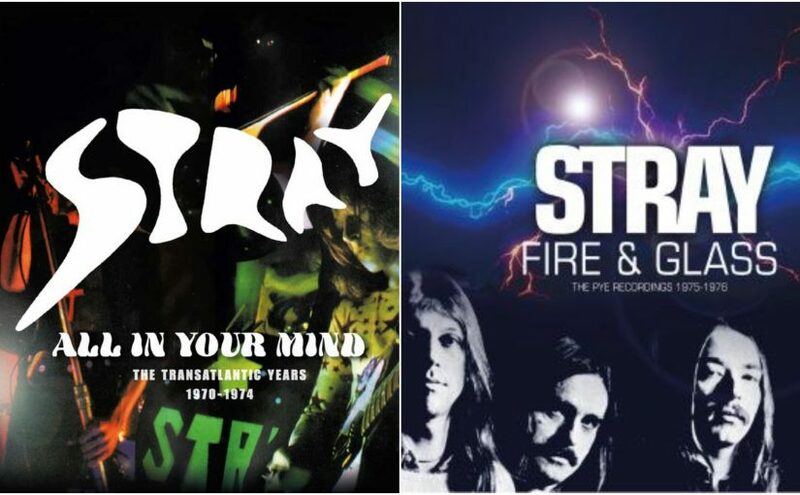 The overriding impression from listening to these albums and reading the history is that Stray were the right band but never quite in the right place, or on the right label, at the right time. Instead, like so many great ‘cult’ bands, they have been discovered by word of mouth and people have liked what they heard. What has astonished me is that in my 20 odd years rooting round in the obscure corners and lost attics of prog and classic rock music, I have never heard of Stray before, or had them recommended to me. Which just goes to show that you can show an old hack a new trick and that there are still some amazing bands out there to rediscover and rehabilitate. 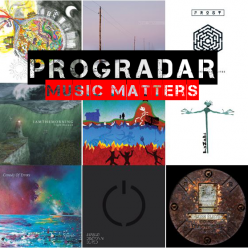 Stray reformed in the 80’s and carry on working now, however it is these 8 albums that made their reputation and which are an absolute delight to discover. If you’ve never heard them you are in for a treat, if you have heard bits, then you’ll be amazed what you’ll find and if you’re already a fan, then you’ve probably just wasted the last 15 minutes having me tell you something you already know! 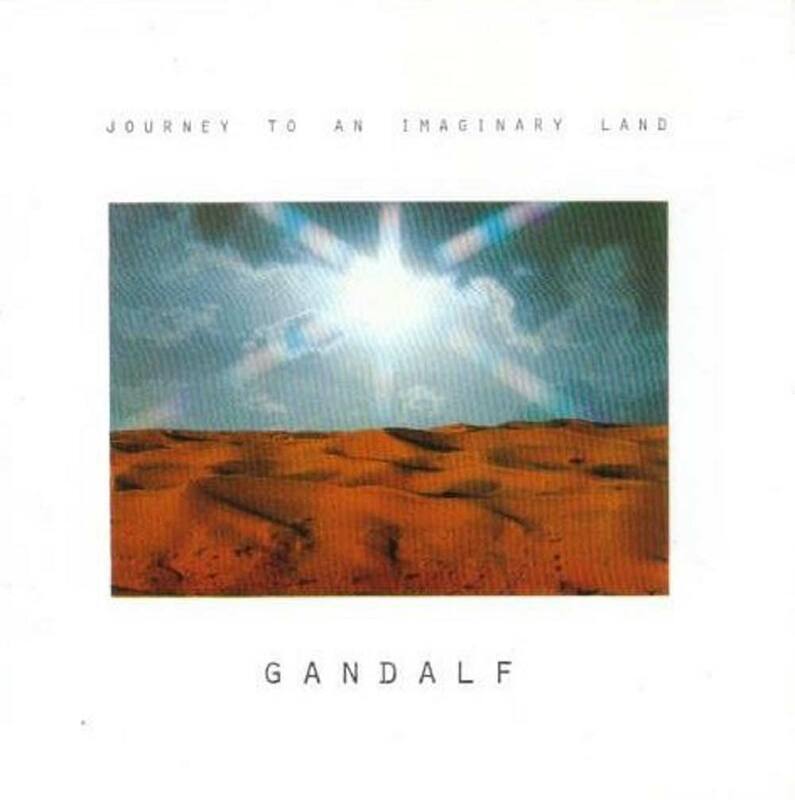 This week over in my special little corner of Progradar I continue to catch up (and round up) a whole sphere of different releases from the Esoteric label, which is as wide and varied as the name implies, and so we’ll start with their reissues of ‘Journey to an Imaginary Land’ by German electronic pioneer Gandalf. There is nothing more prog than a Tolkien inspired name and this, remastered and reissued, is his debut solo album. Gandalf (real name Heinz Strobl) had done the hard yards in a variety of bands throughout the 70’s and he took all his experience and ideas and visions andworked on them himself, without a deal at the time. 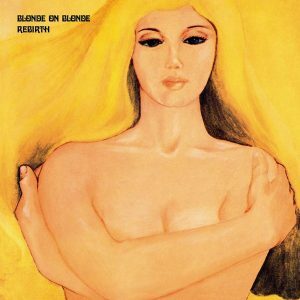 The result is what is highly regarded as one of the defining instrumental albums where prog meets classical influences then meets new age music. There are obvious nods to the work of Mike Oldfield and Tangerine Dream here but, as these are symphonic pioneers, it would be very hard to create this kind of album and not be influenced by them somewhere along the line. However, Gandalf is no mere copyist or homagist, instead he takes the idea that electronic music can also be symphonic and runs with it. Having previously been a songwriter, he has a strong idea of melody and structure and simply replaces vocals with electronic sounds. 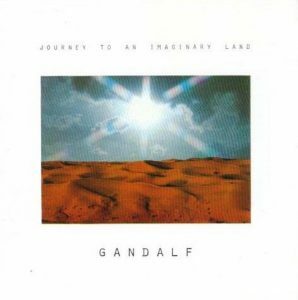 Not only that, Gandalf fully understands structure and flow, and from the opening Departure to the closing Sunset at the Crystal Lake, we are taken on a soothing and entrancing musical journey. From the joyous moments in The Peaceful Village (with the guitar driven, almost folky, ‘The Dance of Joy’)to the epic and flowing March Across the Endless Plain, the music and, indeed, the titles are incredibly evocative, providing a soundtrack to an imaginary fantasy film. The blend of flowing synth sounds and compositional structure and, indeed, use of acoustic guitar on here creates some beautiful ambient soundscapes, nothing is rushed. This is the sort of album where the music slowly builds and grows. After being out of print for a while it is good to hear this influential album getting the treatment it deserves and, if you like anything ambient and electronic, this is the one for you. 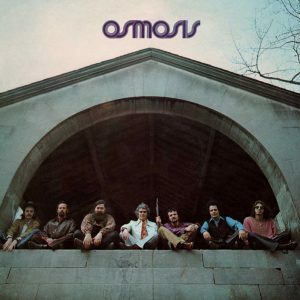 Moving from German ambience, we head over to America, Boston in fact, for the extraordinary only album released by Jazz Rock fusion band Osmosis. 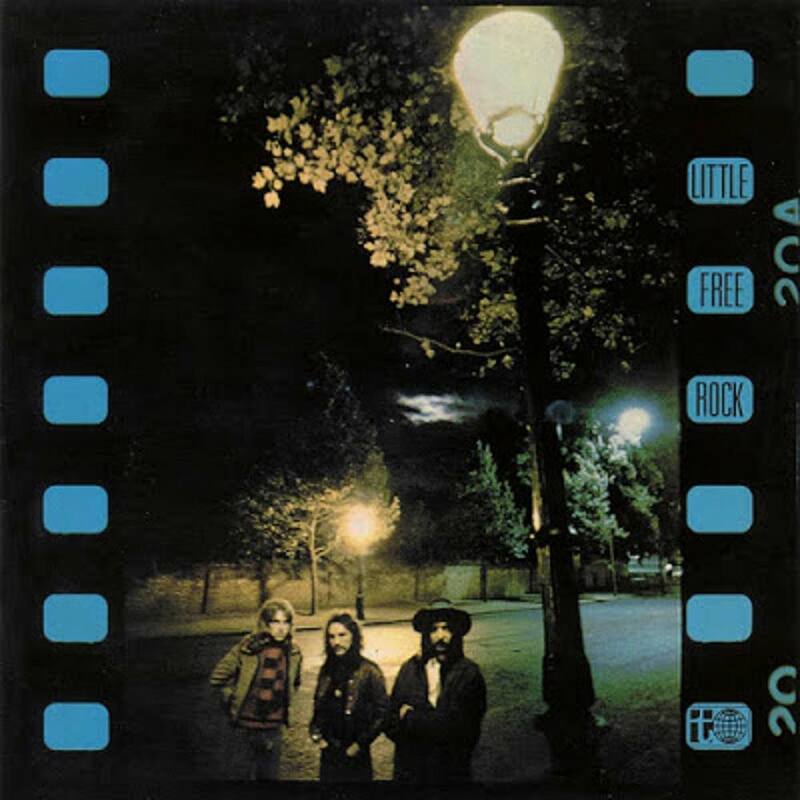 Originally released in 1970 on RCA, this was the culmination of a few years hard gigging by the band formed around the Berklee College of Music in Massachusetts. Neither one thing nor t’other, the band featured legendary flautist and saxophonist Charlie Mariano, Bob Knox on vocals, Danny Comfort on bass, Lou Peterson on drums, Bobby Clark on percussion and drums, Andy Steinborn on guitar and backing vocals and Charlie Bechler on keyboards. Mixing jazz influences and rock power, this was the band’s debut, and only album, making its appearance here on CD for the first time ever. It’s hard to credit that a band with this much power and musical precision behind them could have dropped off the radar for so long, but such is the fickle finger of the music business. With Mariano up front, his flutes and saxes acting almost like a lead guitar, and then the power that having two drummers brings, this merges some of the great improvisational styles of jazz with the full balls out rock. Tracks like the unusual and insanely paced Of War and Peace (In Part) with it’s unusual time signatures and vocal chanting distils the band essence into one song. The rock vocals of Knox are powerful and add a soulful edge to tracks like Sunrise.The band, instead of having solos here there and everywhere, pull together to create some truly astonishing musical moments, like the psychedelic wig out that goes on throughout Sunrise. Whilst the band hated the production and the sleeve notes written by producer Dave Blume, feeling he muffled their sound, the structure and sound on Shadows for instance makes it near perfect. In fact, this whole album is superb with the unique blend of disciplines and styles that the band bring make this a phenomenal release, even more amazing when you consider RCA only gave them 8 hours to record it! Packed with fantastic sleeve notes from Sid Smith, this is an album that, if you are a fan of the melting pot where rock and jazz meet, you need to hear. 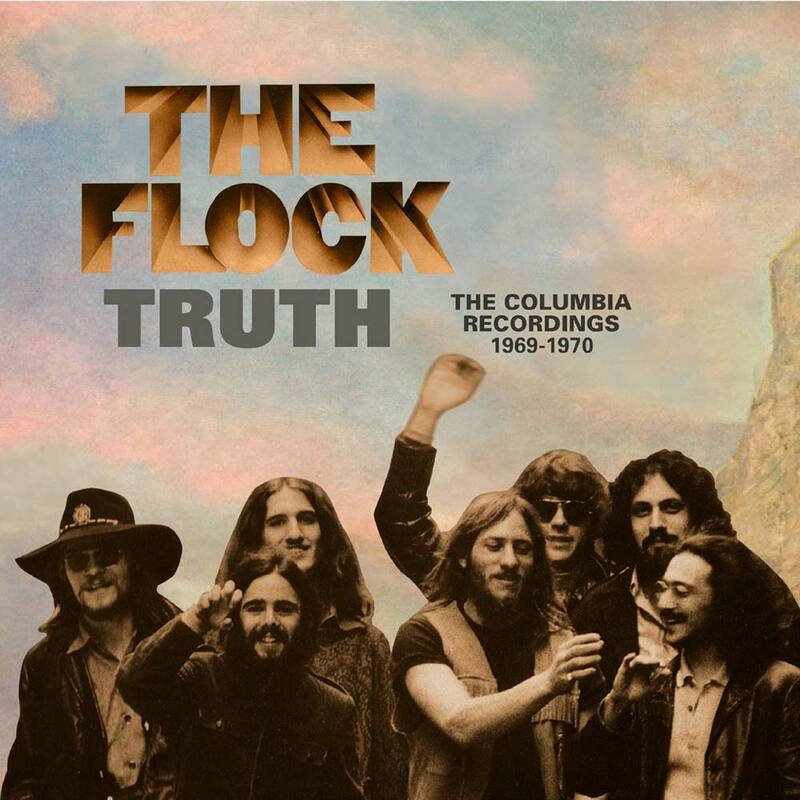 Staying over the pond we now turn to The Flock, this time heading over to Chicago where, along with Chicago and Blood, Sweat and Tears, they formed a mighty triumvirate in the late 60’s and, like the other two, were signed to Columbia records. ‘Truth, The Columbia Recordings 1969-1970’ brings together their two albums and disparate singles recorded for the label, 1969’s ‘The Flock’ and 1970’s ‘Dinosaur Swamps’. With violinist Jerry Goodman to the fore, their blend of classical influences, R ‘n B and origins as a guitar band meant they had a wide musical palette to draw from. The wonderful Introduction, which features Goodman to the fore, sets the scene perfectly for their debut, which had impressive sleeve notes by John Mayall who had seen the band live in 1969 and was blown away. Their blend of blues/funk and Goodman’s violin makes this sound fantastic. The extended funky work out on the Kinks’ So Tired of Waiting is exemplar of what a good cover version should be, taking the original and melding it into something totally new and funky. The vocal harmonies by Goodman and guitarist Fred Glickstein blend perfectly over a funky bass from Jerry Smith, whilst the bands’ brass section of Rick Canoff on tenor Sax and Frank Posa on trumpet really go mad and bring a real swing vibe to this track. It’s these musical meetings of minds that make this album sublime, as the guitar work from Glickstein and the violin from Goodman vie for attention throughout. Whilst the 7-piece including funky powerhouse drummer Ron Karpman and Tom Webb on sax, flute, harmonica and maracas brings the sound tightly together. This album, to put it bluntly, swings and rocks, the combination of brass and violin is one that works sublimely well together as the 6 tracks on the original prove. Nothing outstays its welcome here, and the length of some of the songs gives some real room for improvisation and freewheeling. I know that not everyone appreciates that but the intricacies that the band play, and the stylish solos particularly on expansive original closer Truth, can’t help putting a smile on your face. This first disc is rounded out by the edited single versions of Store Bought – Store Thought and Tired of Waiting, the non-album tracks What Would you Do if the Sun Died?and Lollipops and Rainbows plus a real curio, the French edit of Clowns, split into two parts for one single. 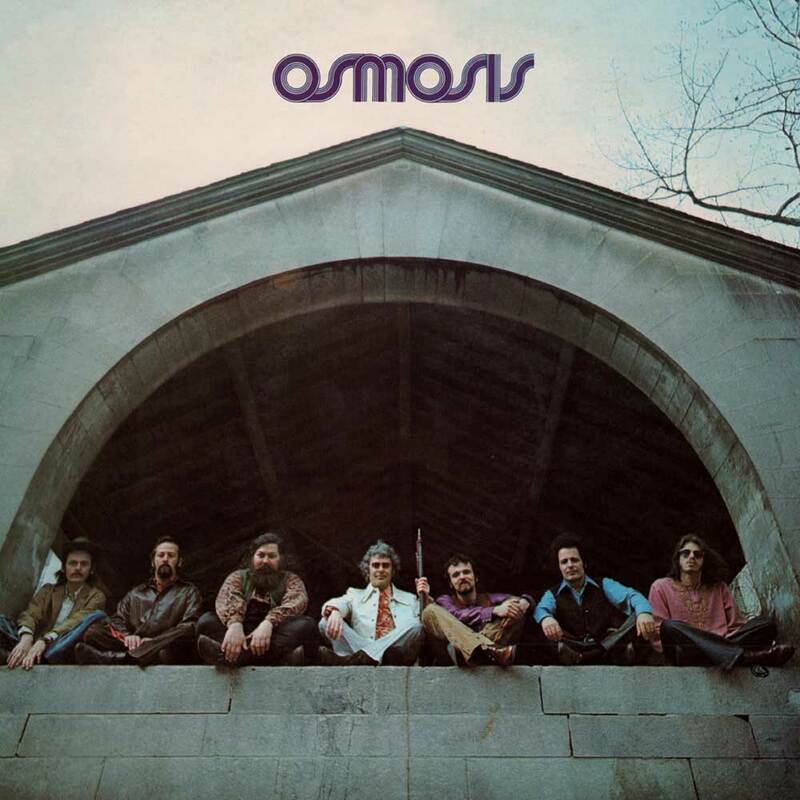 By 1970’s ‘Dinosaur Swamps‘, the title taken from a trip that band had, Tom Webb was replaced by Jon Gerber, who not only bought flute and sax to the party, but also his banjo, adding a different vibe to the album. The album is one the band describe as their ‘Sgt Pepper’ and it is an evolution rather than a revolution in their song writing, the familiar is still in place, and the band haven’t thrown the baby out with the bathwater. However, the experience of being on the road, playing some big American gigs, and of recording a debut album, is obvious on tracks like Big Bird which oozes confidence and a real country vibe with the mix of violin and banjo on show. 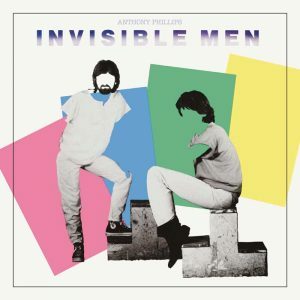 The band have really gone to town on this album and, again, the mix of brass, rock, violin and banjo create a huge musical sound with mood changes and real up-tempo vibes, particularly on Hornschmeyers Island which, with Goodman’s improv to the fore, sees how he brought his skill to the mighty Mahavishnu Orchestra when The Flock folded. I love this sound, the mighty mix of jazz, rock and violins, it probably would have passed me by 20 years ago but now I love how the moods change, the bass sneaks in suddenly to underpin a beautiful solo and then the brass kicks in. This is just as progressive as any of the bands from ’69 like Yes, King Crimson or Floyd and, just because it starts with jazz and blues doesn’t make it any less important, innovative or bloody good music. The guitar work on tracks like Lighthouse are sublime and the way everything just works on this album showcases how tight a band The Flock were, and how they were pioneers of this sound and vibe. Of interest in this collection are 4 tracks recorded for their never finished album ‘Flock Rock’ that Sony exhumed in the 1990’s for a compilation, and which rightly join their brethren here on this impressive double set. There is a whole lot of music here and, if you love music that has its fingers in many pies and is refreshing, original and bloody cool, then this is for you. An absolute blast from start to finish. Next, we head back to Britain, London to be more specific, and the environs of Ladbrook Grove in the late 1960’s where the multinational band Quintessence were formed out of a variety of talented musicians who had gravitated to London to play in the nascent psychedelic scene. 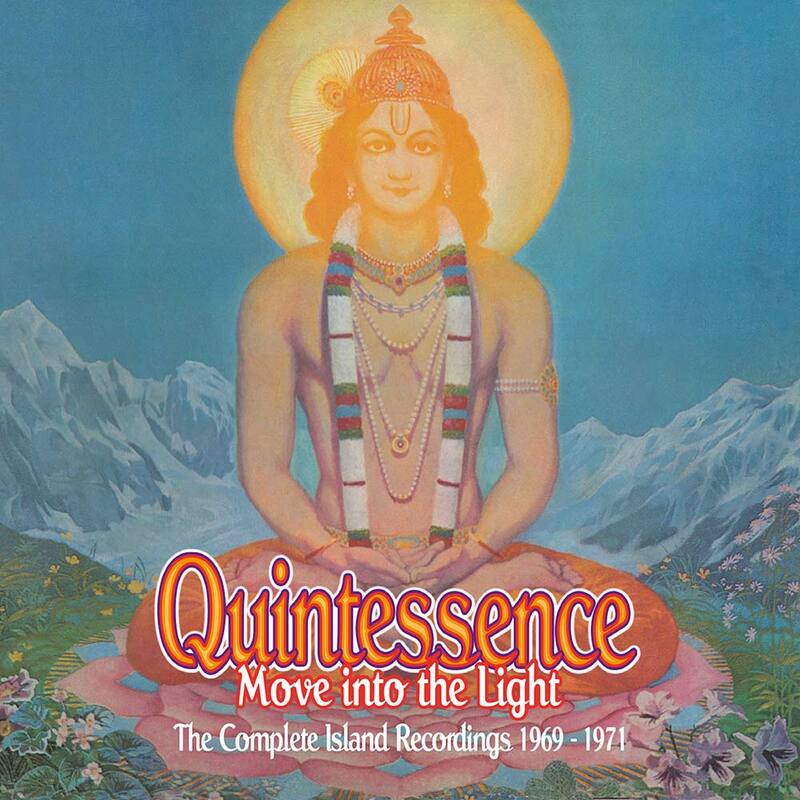 ‘Move into the Light’, a double disc anthology collects their three albums (‘In Blissful Company’ 1969, ‘Quintessence’ 1970 and ‘Dive Deep’ 1971) recorded for Chris Blackwell’s Island Records. 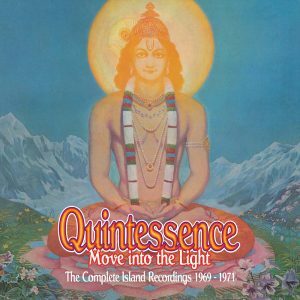 Mixing Western rock vibes with Indian mystical ideals had worked for George Harrison and whilst for some bands it was fashionable to have a sitar in one or two songs, Quintessence mixed the whole Indian and Western vibe together over three diverse and interesting albums. If you have ever heard George Harrison’s ‘Wonderwall Music’ album (and if not, why not??) then take that as the starting point, it’s where Indian and English rock merges for the first time successfully and Quintessence take that vibe and carry it further than George did, as tracks like the debut album’s Gange Mai, with it’s rock background and Indian chanting shows. Flowing straight into the aptly named Chant, with it’s Hare Krishna chants (a refrain that is very popular through rock over the ages, as musicians seek out divinity – of interest is also ‘The Radha Krishna Temple’, produced by George Harrison and released on Apple, that is far more Indian chant based then Quintessence but comes from the same sphere) and the familiar sound of the table and the sitar, with its rhythmic and structured chants and repetition, it’s the Eastern version of Gregorian chanting, and a possible link to the universal chord and the music of the spheres. Whilst most bands from this era had paid lip service to the Eastern vibe, Quintessence were far more serious than that, taking on Indian names, so Aussie keyboard and vocalist Phil Jones (a successful musician in his native land) became Shiva whilst fellow Aussie band leader Ron Rothfield, flautist and songwriter, became Raja Ram, Richard Vaughan on bass became Shambhu Babaji and Dave Codling on rhythm guitar became Maha Dev. 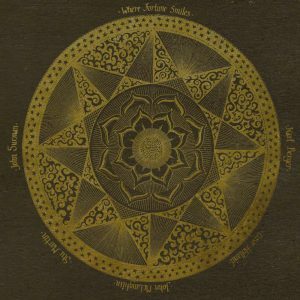 This blend of Eastern mysticism and Western rock led to hypnotic chant and sitar sounds mixed in with more trad rock sounds like on the wonderfully entrancing Notting Hill Gate, about the area in London they were based in. Moonlight Mode with its instrumental twists and turns and Indian drone coda shows the bands musicianship. The fact that Island Records gave the band complete artistic freedom can be heard here on this incredibly mature and complex debut album, recorded with producer John Barham, who helped facilitate the bands ideas (and who, coincidentally had also worked on ‘Wonderwall Music’), this successful relationship carried on through to the band’s self-titled second album released in 1970. The bands lavish sensibilities were not just confined to the music, but also their artwork and, again with Barham in the studio, the band expanded the sound with more confidence, after all, the reason they were signed originally was their power as a live act. Opening with the powerful Jesus, Buddha, Moses, Guaranga the second album was more of the first but with a subtler blend of the mystic, the esoteric and the experimental. Barham as a producer was like their George Martin, helping get more out of the band and push them in the studio. 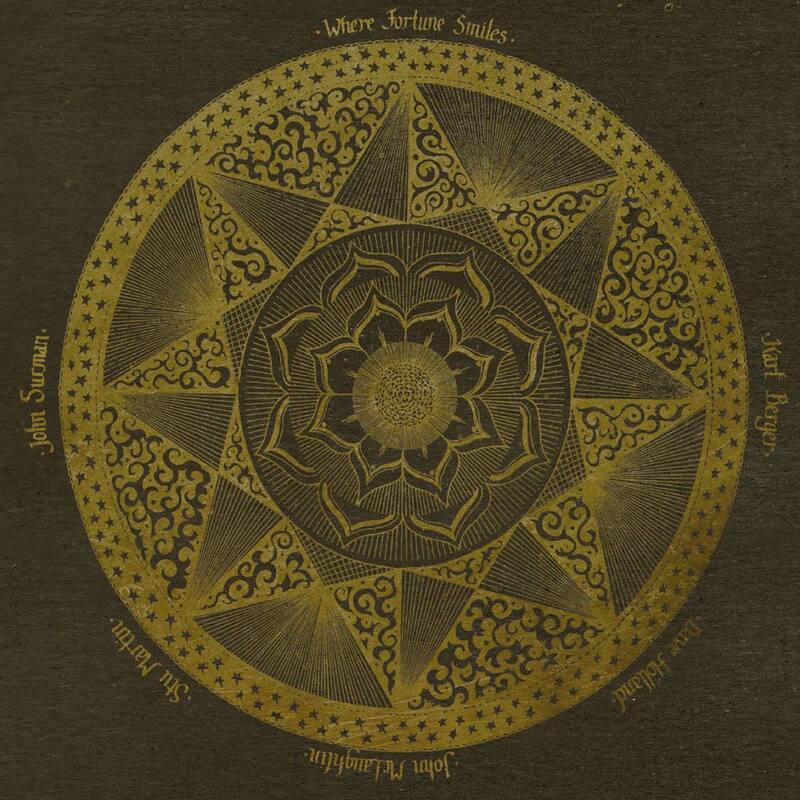 With guitar work from lead guitarist Allan Mostert replicating the scales of the sitar and replacing it on lengthy instrumental work outs, the complex and circling sounds were almost hypnotic and meditative. The band had decided to write an Opera and the only track left from that concept is High on Mount Kasailash, with its chant and sparse instrumentation, again a subtle blend of minimalism and Indian that works well together. Burning Bush and St Pancreas, both live cuts, show the bands mighty fine live credentials off here on an album that wears its Eastern and Western influences on its sleeves (of a psychedelic musical jacket). By 1971’s ‘Deep Dive’ Quintessence had moved on from John Barham, with the band musically confident and even more in control of their own musical destiny to realise they can handle it all themselves and this is their most complete album yet, 6 tracks that reflect the bands musical maturity and inner vision. The title track, for instance, has some lovely guitar work from Allan, and an almost transcendental middle passage. Meanwhile we are introduced to a Hindu belief of the Highest Universal Principle, Brahman, via a slow building percussion driven piece that boils the principle down to everything is Brahman, with a fab chorus, some sublime vocals and a great flute piece. The Seer is a fantastically soulful track, sounding like it could have dropped off any late period Traffic album, with more of that driving percussion and sublime guitar work. 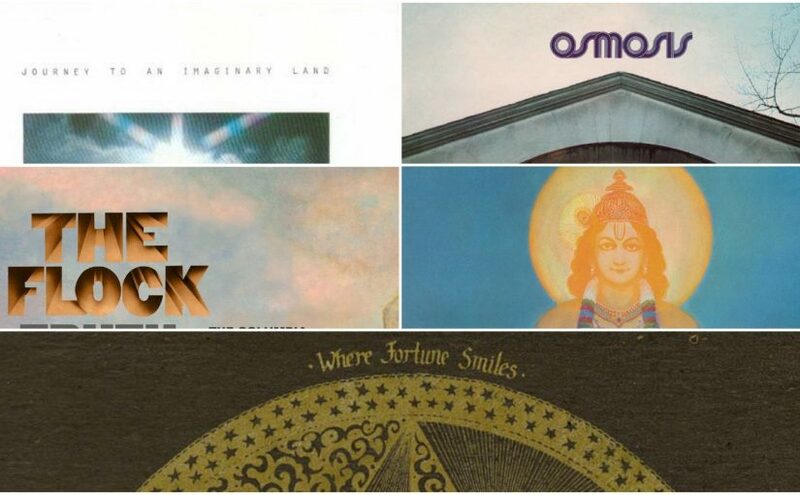 Despite recording a few albums for the Mercury label, these Island albums are the ones where Quintessence made their name, and the ones which showed their passion, their diversity and their musical skill. This is one for fans of that period where psychedelia merged into folk, and of interest to those who wanted bands like The Beatles to take the Indian/Rock sound further. Our journey on this little musical mystery tour ends in New York, where five pioneering jazz musicians met in 1970 and created ‘Where Fortune Smiles’, an absolutely electric combination of some of the finest jazz musicians of the early 70’s, John McLaughlin, the pioneering British jazz guitarist who rewrote the rules with his fluid playing and his influential Mahavishnu Orchestra, John Surman with his incendiary baritone sax, German Karl Berger (whose vibraphone playing led to stints with Don Cherry), Stu Martin (the American born drummer who worked with Duke Ellington and John Surman) and Dave Holland, the British bassist who’d worked with artists like Miles Davies. At this juncture, when these 5 musicians had either worked together or knew people who knew each other, the jazz scene, like the folk scene, was very incestuous, so they just all happened to be in New York one day in 1970 and recorded these five tracks in that day. Talk about spontaneity, musical compatibility and the sheer verve and energy that these five big names who would each make their mark elsewhere, bring to this session. You only need to listen to the power of Stu Martin on McLaughlin’s Hope whilst McLaughlin gets noises from an electric guitar that you wouldn’t expect. The power, innovation and originality across these 5 tracks is astonishing and, at just 35 minutes long, this album never outstays it’s welcome, The way that Surman’s sax or Berger’s vibes drift through the music, whilst McLaughlin does what he’s best at, is a joy to hear With Dave Hollands innovative bass adding so much, when rounded off with the powerhouse drumming, this album is an absolute blast, with invention and excitement throughout every track. This kind of fusion free form improvising is not for everybody and, if you prefer your music more structured or regimented, you really won’t enjoy this. However, if, like me, you’ve recently discovered the joys of this style of music, then this is a welcome addition to any CD collection. Those great people over at Esoteric Recordings have a great job, they are the equivalent of musical historians, rooting around in the record company archives like audio archaeologists and finding some neglected, hidden and indeed well-known treasures that they tease and bring back to life. Here’s a round-up of some of their more alternative and eclectic discoveries. 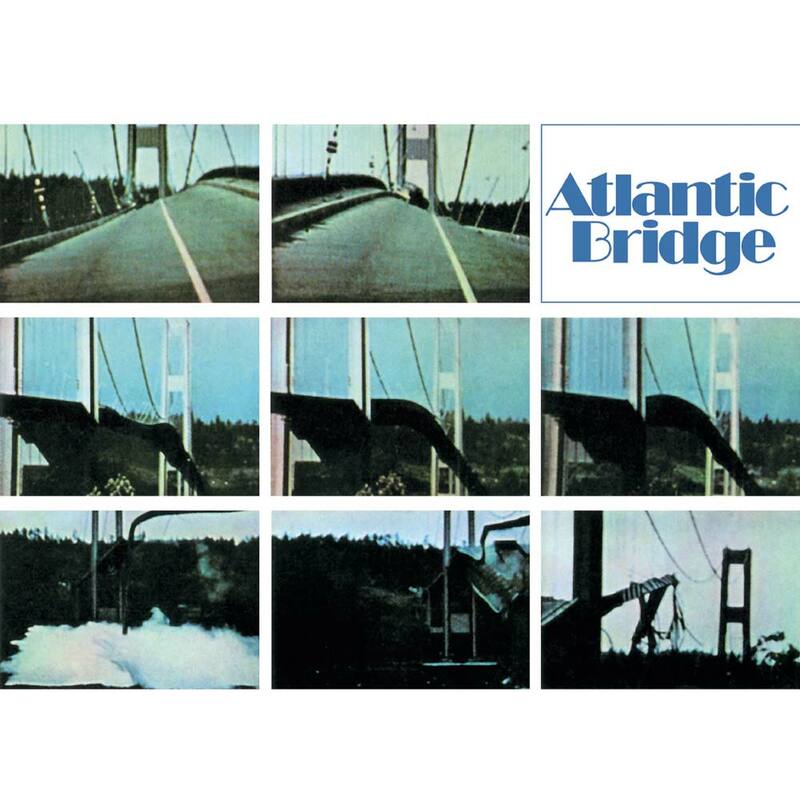 Let’s start with the self-titled album from jazz rock crossover quartet Atlantic Bridge, originally released on the progressive imprint Dawn Records back in 1970. It takes the four-piece’s improvisational jazz tendencies and mixes them up with some stirring and interestingly re-arranged versions of contemporary rock classics. Heavily influenced by re-interpreting the Beatles, both Something and Dear Prudence get radically rearranged and mixed up by the four-piece. Pianist and arranger Mike McNaught was instrumental in getting bassist Daryl Runswick, Flute/saxophonist Jim Philip and drummer Mike Travis to turn their jazz hands to rock reworking. Not only was he a Beatles fan but the album also contains three re-workings of classic Jimmy Webb songs, including the inimitable Macarthur Park, jazzed up to the max. With the self-composed Childhood Room (Exit Waltz) closing the original album, this is one of those innovative and ‘between two stools’ records, where it was too jazz for the rock crowd, too rock for the jazz crowd and now sounds like they were having a blast recording it. Well worth an investigation if jazz rock is your thing. This self-titled debut and, ultimately, only album from Preston power trio Little Free Rock was originally released back in 1969 on, of all places, the Transatlantic label, home to folkies like Ralph McTell and the pre-fame Billy Connolly band The Humblebums, which was, as the honest sleeve notes reveal, a bit of a mismatch. However, what you do have here are 9 tracks recorded by a hugely talented and inventive power trio, led by guitarist, vocalist and song writer Pete Illingworth, co-writer, bassist and vocalist Frank Newbold and drummer Paul Varley. Unusually from this period, and with bands who had honed their craft on the road, this album is all originals, no random reworking of Beatles songs or that ilk. Instead, you get one of those albums that could only have been made in 1969, where the optimism of ‘anything is possible’ musically filtered through. You get big choruses on tracks like Making Time (complete with obligatory drum solo) whilst you get some fantastic riffs on songs like Evil Woman and the opening Roma Summer Holiday. In fact, the skills of the song writing duo of Illingworth and Newbold are on display throughout the album and it belies their youth and inexperience in the studio. Sure, bits of this album sound naïve and, as it was recorded on a budget, that also tells but it never distracts from what is a fantastically exciting album. As snapshots of an era go, this is a perfect encapsulation of all the bands in that era that dreamed big and had the ambition to put their sound on record, and also of the record labels willing to give them a go. 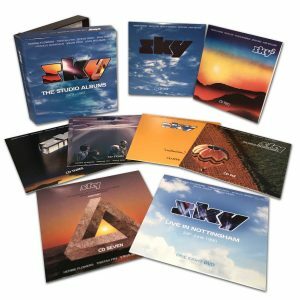 Doing exactly as it says on the tin, this impressive clamshell package contains all the studio albums (Sky, Sky 2, Sky 3, Sky 4, Cadmium, The Great Balloon Race & Mozart) recorded by the legendary cross over rock and classical band Sky. This provides a condensed collection of the remastered albums reissued a few years ago on Esoteric containing none of the bonus tracks but, as an extra to the package finally released on DVD after many years of being unavailable, the superb last gasp ‘Live in Nottingham 1990’. Formed in the late 70’s by legendary acoustic guitarist John Williams, session musicians de jour Herbie Flowers and Kevin Peek, Curved Air keyboard player and composer Francis Monkman and orchestral percussionist Tristan Fry, the band successfully fused classical pretensions with progressive and mainstream rock styles and were an absolute phenomenon in the early 1980’s, yet their legacy seems to have been forgotten and it probably didn’t help that these albums were unavailable for many years on CD. ‘Sky’, the debut album originally released in 1979, showcases the bands style, and is a definite statement of intention with the driving power of tracks like Monkman’s Westway, the brilliant Carillion and the powerful closing Where Opposites Meet, again by Monkman. 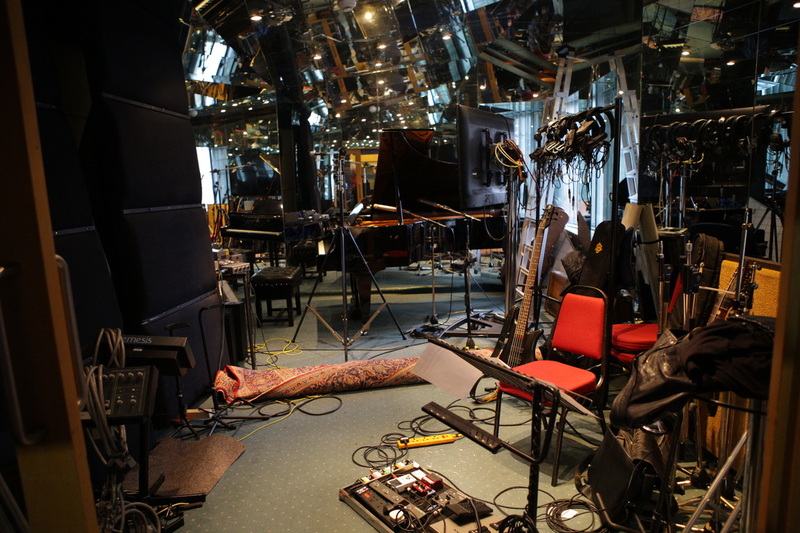 With the wide range of styles that all 5 members brought to the band, you get Williams’ acoustic classical style mixed with Monkman’s progressive keyboards. Flowers and Fry on bass and drums are one of the most powerful rhythm section you’ll see anywhere, with Fry as powerful a drummer as John Bonham, and with a fantastic touch that adds so much more to the sound, whilst Kevin Peek’s electric guitar complements Williams’ acoustic touch perfectly. ‘Sky 2’ was an ambitious follow-up, a sign of strength and confidence in the band that built on the back of their success and what better way than releasing a massive double album. This shows the full power of the first Sky line up, as Herbie Flowers (bassist on the Lou Reed song Walk on the Wild Side) brings his tuba to the fore on the brilliant Tuba Smarties (which never fails to bring a smile to the face) whilst Tristan’s Magic Garden showcases Fry’s superb percussion skills and sound. Traditional progressive rock bands from the first wave (Yes, The Nice, Genesis) were always trying to compose and perform in a rock and classical crossover and whilst some were more successful than others, Sky, with its blend of rock musicians, classical musicians and composers, I would argue, managed to blend classical styles and rock techniques in the most successful way possible. This made them one of the more successful second wave progressive rock groups, particularly as they managed to make their albums hit the top ten (‘Sky 2’, for instance, hit the top spot) whilst performing complicated, intricate and intelligent instrumental music. It also included a side long composition (again from Francis Monkman) called FIFO, which is the pinnacle of Monkman’s compositional style in Sky. There is no bad track on this album, and the way it ebbs, and flows is magnificent. 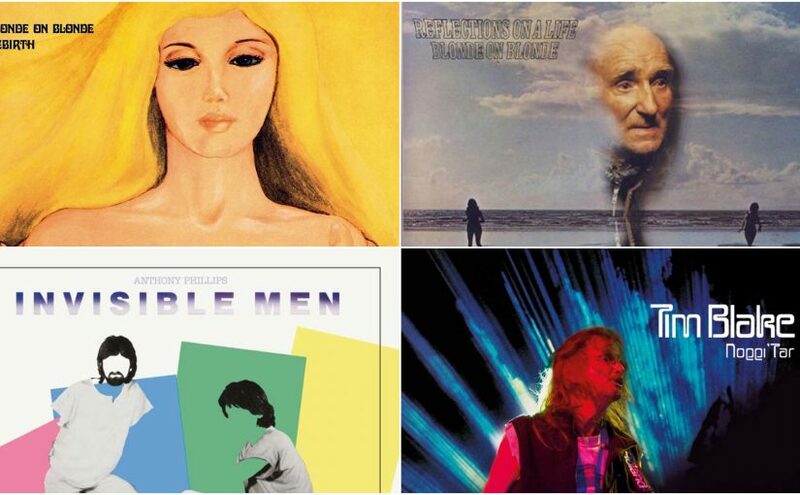 I also must admit to having a massive personal connection to these albums, my Dad used to play the Sky albums regularly when I was a child and, as I drifted off to sleep, I could hear the bass of Herbie Flowers or the percussion of Fry sneak through the wall. This is music that I have grown up with all my life, so I think it’s wonderful to hear it remastered in such clarity. 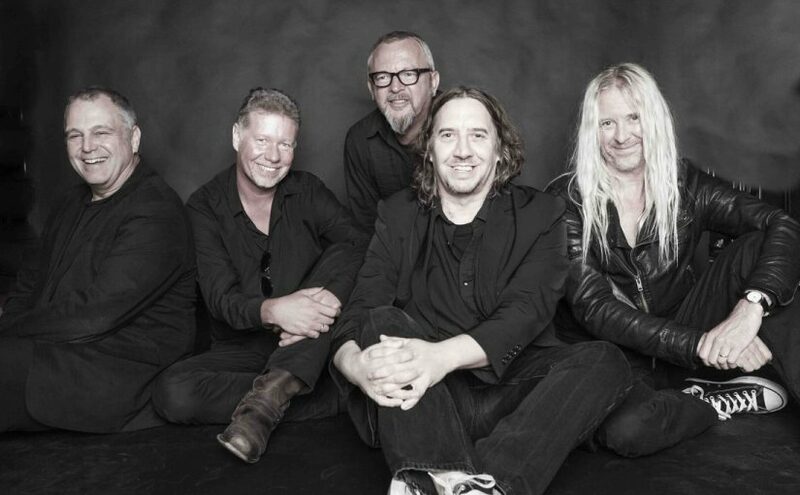 ‘Sky 3’ saw a change in the band as Francis Monkman moved on to be replaced by another session musician, Steve Gray, who brought a different compositional style and focus to the group. Losing a member could end some bands, particularly one with the composing skills of Monkman, but Gray steps in perfectly and adds his own song writing style to the group. ‘Sky 3’ isn’t quite the sound of a band in transition as it could have been, in fact, of the three albums so far, I think it is probably my favourite with some amazing group work on tracks like Westwind, Connecting Rooms, and the band classic Meheeco. Gray fits perfectly into the band, and the work on here is again a logical progression from the previous two albums, with every member giving their all. It is so difficult for instrumental bands to ensure that they don’t keep making the same album repeatedly or for the music to get lost in the background. The members of Sky have enough musical skill, song writing expertise and the comfort of working together, to ensure that each album is different, fresh and musically exciting. 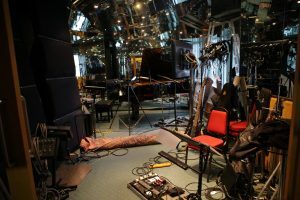 ‘Sky 4; Forthcoming’ was a slight change of direction for the band, as they were classically influenced, they decided to record an album of interpretations of classical pieces (a bit like the almost traditional cover album that contemporary artists still do) and each piece was rearranged and reimagined by the members of the band. Highlights include the wonderful reinterpretation of Ride of the Valkyries (by Steve Gray), John Williams showcases his trademark dextrous sound on Bach’s Fantasy and there is a fantastic version of Hoagy Carmichael’s Skylark, whilst Kevin Peek’s My Giselle is the only original track on the album. The diversions into classical pieces are excellent and deconstructing the original and rebuilding it into a Sky sound pretty much shows the blueprint as to what the band were trying to achieve originally. With musicians as good as these 5, it is exciting to hear where they are going to take well known pieces. ‘Cadmium’, the first album of new material from the band since 1981’s ‘Sky 3’, and the last to feature founder member John Williams, was released in 1983 and, with the opening Troika (better known to millions as the basis of Greg Lake’s I believe In Father Christmas) adding festive cheer to the album, it does seem business as usual. Overshadowed as it was by Williams’ departure after recording, it has a lot of charm and plenty of Sky classics to endear it to the audience. It includes wonderful track from Herbie Flowers, the excellent Telex From Peru, whilst Steve Gray’s Son of Hotta does exactly what it says on the tin. Bonus tracks include an extended work out of Troika plus a blinding version of The Fool on the Hill. Without a replacement for Williams, Sky continued as the core four piece with additional help from extra musicians to fill out the sound, this is obvious on 1985’s wonderful release ‘The Great Balloon Race’, probably one of the most misunderstood albums in the bands catalogue and, now 20 years on, the time is right to reappraise its status. Having lost the big name from the band, as Williams was a massive draw (not to mention a key member of the song writing team), Sky could have collapsed and folded, instead they carried on with one of the most striking and original songs that have ever opened up an album, The Land sounds like nothing they had ever written before. With vocals from composer Tony Hymas (English composer best known for his work with Jeff Beck) and Clare Torry (best known for her work with Pink Floyd) this atmospheric and powerful song sets out Sky’s stall, influenced strongly by their time spent touring Australia. The Land is inspired by the Aboriginal struggle whilst the title track is one of Herbie Flowers’ most memorable compositions, touring musicians Ron Asperey (on sax and flutes) & Lee Fothergill (guitar) help flesh out the sound and with the addition of pan pipes on some of the tracks, the additional instrumentation enhanced the key Sky sound. ‘The Great Balloon Race’ takes their sound and pushes it into a widescreen format, and is the sound of a band moving forward. The final Sky studio album saw them head right back to their roots, a re-interpretation of classical music with rock orchestration and sees them joined by the Academy of St Martin’s in the Field to record the album, ‘Mozart’, released in 1987. Fry’s work with the academy was long standing (he played on the soundtrack to the film Amadeus) and, in conjunction with conductor Sir Neville Marriner, they planned and adapted a broad collection of Mozart material and interpreted it in the unique Sky way, with the key four-piece band embellished and enhanced by the orchestra. Works like The Marriage of Figaro, Symphony No 34: last movement and Alla Turka: Rondo are all reworked and performed to perfection. Remastered here, the clarity of the interplay between the band and the orchestra is sublime. The last gasp of a band who had been so peerless and innovative throughout the late 70’s and 1980’s, ‘Live at Nottingham’ captures the line up of Flowers, Fry, Gray, Hart and Peek on fine form, as they run through an almost ‘best of’ set, with the usual musical dexterity and power that they are well known for. 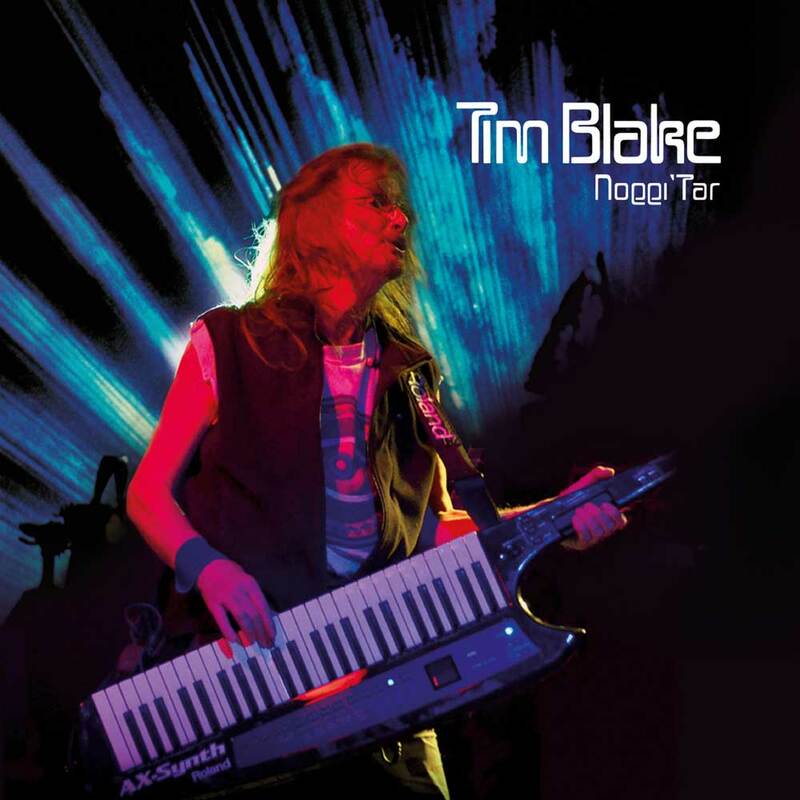 With old favourites like Son of Hotta, Meheeco, Tuba Smarties and Toccata (previously unreleased on DVD – available here for the first time), this album rounds off a well packaged and excellent value set. The only omission here is the live double ‘Sky 5’ which is still available on CD if you want to complete your set.